We think it’s best to learn by doing. 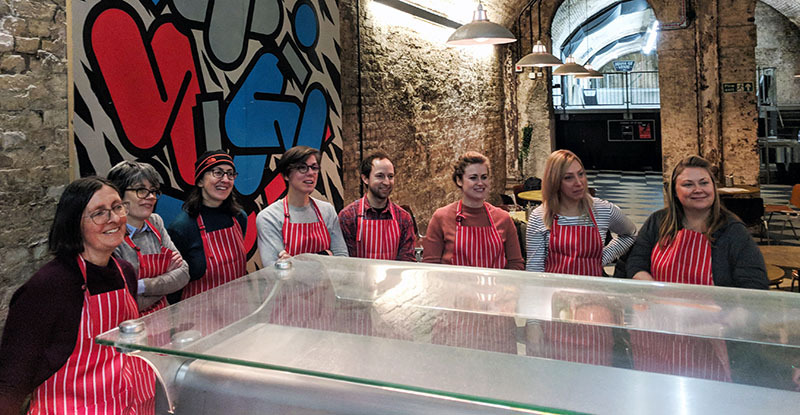 New recruit Shanna Bent talks about our recent team away day where we did just that – learning how to design and sell sandwiches by the brilliant team at social enterprise Kitchenette Karts. Recently I experienced my first Design Thinkers Academy London surprise team outing. After much speculation for months leading up to the day, we discovered that we were being given the chance to experience what it’s like to run our very own food catering businesses! Instead of being talked at over a lengthy presentation, the day was all about learning-by-doing. 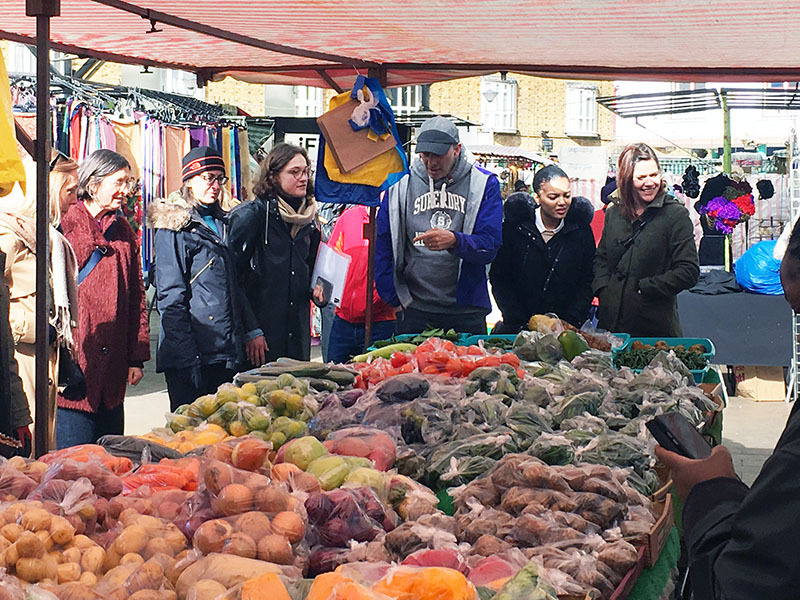 We swapped our laptops for our best walking shoes and followed the Kitchenette Kart Team into the streets of East London to learn all the magic that happens behind-the-scenes. Kitchenette Kart is a growing social enterprise. Their aim is to support young and unemployed Londoners into fulfilling careers within the food industry. They have a great team of food mentors that train people on how to design, cook and serve delicious and sustainable sandwiches inspired by the culinary traditions of local East End communities. The trainee chefs are eventually equipped with the experience and knowledge of what it takes to start their own street food business. They also support local suppliers by ensuring all their ingredients are sourced from nearby markets and small enterprises. The demand for street food has increased significantly over the past few years as companies have become more sophisticated in their offerings to suit modern dietary preferences and the taste buds of curious market strollers. It has been proven that street food can also help to revive an area, so councils and developers are now seeing them as a positive addition to local communities. Some very successful restaurants have been born after starting out as humble street stalls, such as London’s Pizza Pilgrims and Bao, and I feel Kitchenette Karts are undoubtedly on the right path. Kitchenette Kart sought crowdfunding to raise money for a permanent kitchen to run their training. 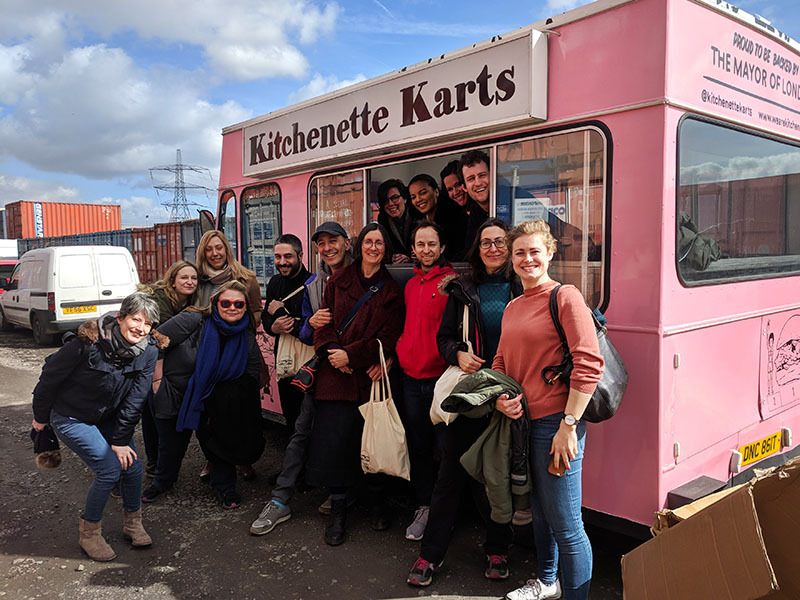 To thank David Kester and Design Thinkers Academy London for generously donating to the cause, they organised an insightful day for us of team work and food in a bid to educate and spread the word about the Kitchenette Kart history, ethos and future goals. 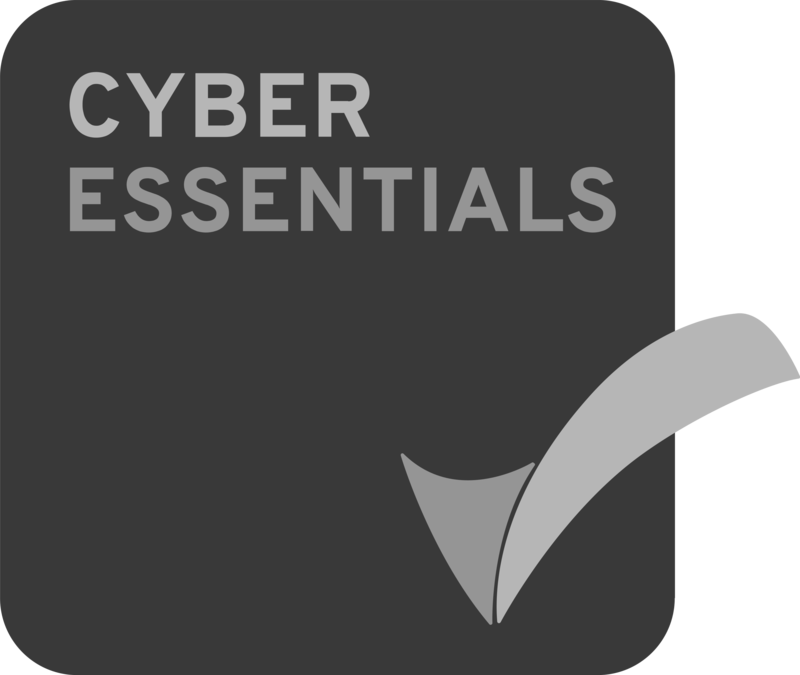 I don’t want to tell all the detail about what we did and spoil Kitchenette Kart’s surprises, in case any readers are considering giving this training a go themselves (which I would really recommend). What I can say is the day was a brilliant team learning experience, and without realising it at the time, was a great example of design thinking in action. 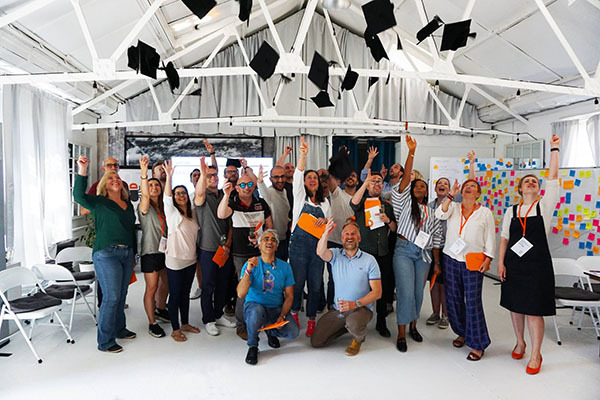 It was a good reminder that learning through actual experiences and real-life situations is not just a great thing to do for a team building away day, it can often open up many new insights and ideas within businesses. As the Customer Relationship Co-ordinator, Shanna is our clients’ main point of contact for enquiries and requests for information. She liaises with delegates before, during and after courses and looks after our stellar network of DTA alumni. With a background in fashion design and brand marketing, she also owns her own Womenswear label and acts as a freelance writer for magazines during London Fashion Week.